Are German Courts Trying To Infringe Upon Free Speech? Many of you will be familiar with the auto complete functionality offered by the Google search engine, which is, the most popular search engine in the world. For those that are not familiar, auto complete analyses what you are typing into the search text box on Google and suggests ways to complete the phrase, or suggest another similar sought after phrase based on the experiences and searches of other users. In the past Google search terms have been manipulated by users to further their own means, causes or beliefs. For example, back when George W Bush was President of the United States of America, the term ‘miserable failure‘ was Google-bombed to make the top result a link to the presidents biography on the White House website. Although, thanks to fixes in the way the search engine operates, Google-bombing is now pretty much a thing consigned to the history of the World Wide Web, a new form of behaviour is evident in Google’s modern day version. That is what I like to call ‘association by popularity’. Basically, say there is a person, Person and there are *suspected* of a criminal offence, lets say, fraud. Even though this may not be true, many people will likely go on the Internet and search for ‘Person A fraud’, ‘Person A scam’ or ‘Person A criminal’. Now, as more and more people search on these terms, it gets to a stage where these search terms have been used by a number of different people that Google sees them as being popular and so, consequently, when you come to Google to search ‘Person A’, as you are typing, the ever helpful search engine will suggest the words ‘fraud’, ‘scam’ and ‘criminal’ should be appended to the end. The effect of this is that people who may have been searching for ‘Person A CV’ or ‘Person A National Achievement Award’ now search for the more derogatory search term to find out why its being displayed, if there’s any truth in it etc. This type of behaviour by Google is made abundantly clear when celebrities and scandal come together. Within minutes of it breaking, the number of searches links subject A with action B. Unfortunately, this is both Google working in a fantastic, real time way as well as popularising, sometimes completely unfounded, terms and stories. But should Google be asked to stop the search engine acting in this way? After all, its only suggesting what everyone else is typing? It’s only the same as a friend talking to a friend about a certain story who then goes on to tell there family and friends. However, when it appears in Google, it seems more offensive in some quarters – as if Google Autocomplete is an oracle of facts rather than a mere suggestion of what you may be searching for based on popular terms. Freedom of speech is protected in law in all developed countries, so surely auto complete is protected by this? The thing that plaintiffs filing these actions against the non-sentient auto complete system seem to be forgetting that auto complete isn’t spouting the views that Google would like to brain wash us with (albeit, this is a popular tale cited by some conspiracy theorists) but simply relaying what others are saying, or in this case searching for. While it can be distressing, upsettings and disappointing to be linked with a phrase with which you are unfairly linked – or maybe disagree with – is it right that Google censors these search queries from showing up in autocomplete? Again, it comes back to the fact that Google is only saying what other people are saying. It has no agenda, it has no motives. It is purely a computer processing, aggregating and presenting a set of general data. The one exception that I could definitely see as falling out of the circle of reasonableness is if an individual or organisation are manipulating the Google auto complete search terms (which, from what we know, would be rather time consuming and resource intensive as well as of questionable real terms reward) – in such a way as the search results could once be skewed by Google-bombing. A recent case in Germany has resulted in a court ordering Google to ‘clean up’ (or censor, depending on your point of view) it’s auto complete results. The unnamed businessman from Germany brought the case after being linked with ‘scientology’ and ‘fraud’ courtesy of Google auto complete. Now, I’m assuming that this man, based on this reaction, is not linked with either of these things – and if that is true, then I can understand how he feels about being linked with things he doesn’t want to be associated with. But after all, its only based on what people are searching for. The court in Germany said: “A person’s privacy would be violated if the associations conjured up by auto-complete were untrue”. This will likely be contentious in the eyes of many in so much as that it isn’t ‘associations conjured up by auto-complete’ but, more accurately, ‘associations conjured up by Google users’. Are we protecting innocent people from malicious lies or are we impinging on the peoples right to free speech? The most important thing to remember is the Google’s auto complete function is powered by its users, not by the company. Over the past week, I’ve had a couple of people come to me wanting advice regarding search engine optimisation. They’ve done some reading up on the topic, which is normally a good idea – dependant on the source material of course. Search Engine Optimisation is a controversial area. Yet it is an area that needs at least some time and focus for self employed people or businesses. However, although there are many dedicated, qualified people working in the area of SEO, there are also unscrupulous people who have gone into the area seeing it as a ‘get rich quick’ or ‘easy way to make money’. Search Engine Optimisation, is as the name implies, a way to optimise your website for search engines. This should be done in the background of a website – in other words it should not impact on your user. The visual parts of a website should have WUO rather than SEO – that is Website User Optimisation. However, I will quickly clarify that you should not be presenting something totally different to a search engine which doesn’t relate to the actual page a user sees. 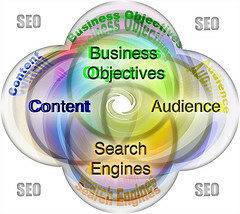 Many people with a website know basic SEO techniques – such as using relevant keywords a number of times on each page, setting meta tags, and following principles of good web design. Presenting a materially different version of a website to a search engine will likely get your removed from the major search providers – as an example, this type of action would be a clear breach of the terms and conditions for listing in Google. And if your not listed in Google, you’ve hit major, major problems. In fact, not being listed by any of the major search engines is likely to impact your website, business, visitors and customers. SEO, for the most part, should be invisible to the user. And good SEO will be. Some SEO rules, such as the general rules given above, generally stay there or thereabouts the same. However, another form of SEO is to exploit certain perceived ‘weaknesses’ in a search engines algorithm such as Google’s PageRank – search engines do monitor these and close them up but as one hole is closed another one usually opens. There are many misconceptions and misunderstandings (some propagated by so called ‘Search Engine Optimisation companies’ or ‘SEO consultants’). I must stress that there are many SEO consultants and companies that are legitimate – but a few too many are alas, not. We’ll try to clear up some of the misconceptions and misunderstandings here. SEO is a service, not a product. Search Engine Optimisation is not a ‘thing’, it is an ongoing process. The rules and guidelines regarding search engine optimisation are changing all the time – and because of this, to stay fully ahead in the game, your website needs constant changes to its SEO strategy and implementation to gain the full benefit. While it is true that you can buy ‘one off’ SEO packages from companies, this does not mean that your website does not need search engine optimisation again. Your website will likely benefit from proper SEO done once, but over time the benefits will diminish. This is in the same way that you can get your car on a service plan (continuous) or as a ‘one off’ package (i.e. one service). Now the one off service is cheaper than a continuous service plan. But the fact you have your car serviced once and it runs in top condition then, doesn’t mean that in three years time it’ll be running in top condition – for this a regular service plan would be required. The same is true for your websites search engine optimisation. While it’s true, as mentioned above, that one off SEO does help your website (especially if you’ve not done any SEO on your website before), if you’re serious about SEO and maintaining a benefit from it, you need to look at having it done on a regular basis. Regular can be quite loosely defined here depending on the results you want and the money you want to invest in it – a self employed contractor is likely to want to put in less resources into SEO than a multi billion pound corporation. Whether regular be once a day, or once a year is up to you – but to gain the maximum medium to long term sustained benefit you need a plan, not just a one off. Now this is not to say that you have to commit to a SEO plan with a company. You can get a one off package from a company or companies on a regular basis. However, you choose to work it is up to you. Just remember – SEO is a service, not a product. One of the most searched for and asked questions regarding search engine optimisation is ‘how much does it cost?’. While many websites will try to define a ‘cost’ for you, the reality is it ‘costs’ anywhere between £50 and £50,000. A similar question for me to ask is ‘how much does a house cost in the UK?’. The answer to both of these questions, in reality, is how long is a piece of string? A house in the UK could cost you £1, then again a house could cost you £250,000,000. The same premise applies to SEO. While a house can have 1 bedroom or 20 bedrooms, in the world of SEO you could be getting a few tags placed in your website or having a thousand page website fully optimised to all the lastest standards and guidelines taking into account each major search engines algorithms. Equally, you don’t just want a price quoted to you by a company without further clarification. If I sent you a quote of £300 for a one off SEO package you might think this is quite competitive. And the truth is, it might just well be – it all depends on what I’m actually going to do for that money. This is in the same way that a £40,000 quote for a car might be competitive. It all just depends whether it’s a Kia Picanto or an Audi R8 I’m quoting you for. £300 would be competitive for a full 250 page site overhaul but not for adding a few meta tags to 10 pages. Find out the cost and exactly what will be done for this cost. If your non-technical then consult someone in a technical field, a computing professional or other suitably qualified person to see what they think about the quote. This might seem a strange one, but bear with me. If you’re a cleaning company there’s no point getting to number 1 for dog grooming. Yes, you’ll get a lot more traffic – a lot more pointless traffic that is. The load on your website will go up, comments from bemused searchers will increase and the cost of your website hosting will increase. Everything will increase apart from valid hits from visitors and customers. You want to rank highly, but you want to rank highly for things that are relevant to your website. Relevancy is the key here – not getting to the top at all costs. Which brings me nicely onto the next point…. That’s right, despite thousands of websites, companies and individuals guaranteeing you the coveted top spot on Google, there’s only two people in the world that can guarantee this. I know what you’re thinking, but despite all the excellent advice I’m giving you in this article, one of those people isn’t me ;). These people are Larry Page and Sergey Brin. And unfortunately for us, they aren’t going to do that for you. I mean, offering them a bribe is hardly going to work 😉 (read, they are two of the richest men in the world). Anyone offering ‘guaranteed’ top spot in Google are simply not being fully truthful. Don’t be surprised to see a ‘*’ floating in a next to invisible size 2 font lurking near by. Google, and other search engines, algorithms change on a regular basis. This affects your websites ranking, sometimes for the better, sometimes for the worst. The only thing that could be realistically guaranteed is that your site will be optimised to current standards and knowledge, which should result in an increase in search engine performance – that is it. And this is assuming the caveat that it is done by a suitably qualified professional that knows what they are doing. SEO is an important part of the design of any website. SEO is a service not a product, and it is a service which needs to be regularly maintained. There are no guarantees, no magic formula, not ‘get rich quick’ equivalent in SEO land. Hard work and investment of resources in SEO undoubtedly leads to good results, but ensure that you fully understand what SEO is and what you are getting for your money before embarking on contracting a company or individual to perform search engine optimisation on your website. All this snappy line means is that the one thing worse than having no Internet presence, is having an Internet presence where your visitors feel like they have been thrust back to the medieval times of dial up. For sure, the most infuriating thing for your visitors will not be that you don’t have a web presence (which by the way, is extremely bad) but that they’ve got enough time to brew up between page loads. There’s many fancy tools on the Internet for checking the speed of your website, such as the tool developed by Pingdom. Here you can quickly enter your website (either your main domain or the url of any web page on your website that you want to check) and get some fairly fast and detailed results about your website. Of course it’s fast, after all the irony of a website that tests a websites speed being slow itself would just be too much to handle ;). 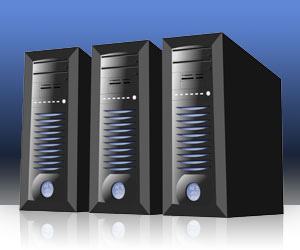 Entering your main domain name (such as www.dpscomputing.com) is probably the best idea to begin with – after all, if your main page is slow, your visitors aren’t going to be around to follow links through to any one of your other pages. At first you’ll be presented with the Waterfall tab. While this is a very interesting tab providing a lot of good information, unless you’re a developer it’s probably not going to be all that useful to you. 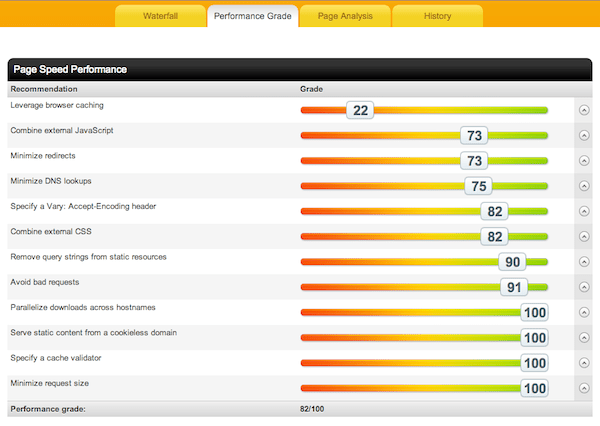 So lets click on the ‘Performance’ tab and we can see some quick stats regarding the websites performance. Now as you can see from our results, we’ve done quite a lot of work and scored quite consistently highly. However, we’ve let our caching slip (we’ve got short cache times on things that should probably be extended) but overall we score 82/100 which while not perfect, is pretty good. If you’re consistently scoring below 50 for two or three categories above or below 70/100 overall, you are opening yourself up to the possibility of using a fair number of visitors simply because your website is not being efficient enough for them to bother hanging around. In todays world of super fast broadband (and increasingly, fibre optic) people won’t hang around to see your website as they did in the good old days of dial up. Design is king – and part of design that should always be considered is the speed. Speed is an often overlooked part of the design and implementation process. Sure the cursor trails on your home page might have looked cool in the 90s, but all that extra scripting is leading to extra load time. The 10s are the decade of decluttification – or simply, removing the crap. Less can be more sometimes, so make sure that your homepage is inviting, has a good navigation system, a video or other small multimedia file and obviously, some quick snappy information about what you and your website are about. Alternatively, if you would like a quick, non-technical way of testing the speed of your website, do the on site testing plan that I’ll detail here. For this to work properly make sure that you’re using a different browser than your usual one (remembering to delete all the temporary files / cache) or simply clear the temporary files / cache from your usual browser. The reason for this is that we don’t want our local cache (basically, a temporary version of websites that we have visited) influencing (and by influencing, I mean improving artificially) the load time of our website. After that’s done, visit your websites home page. Do you have time to day dream about your next holiday? Do you have time to mull over the points that your significant other raised during your last argument? Do you have time to use a post it note to pick out that fingernail dirt that you’ve been itching to get rid of all day? If you answer yes to any of these then your page is loading waaaaaaaay to slowly! Unless you’re still on dial up, or facing serious issues with your broadband, all simple pages (including general multimedia and scripting – short videos, images etc) should be loading fairly quickly after clicking the link or typing in the address. Load times over a second are entering the territory of being way to slow. Unless it’s a complex page your looking at scripts should be short, efficient and snappy, images should be cropped, resized and optimised for the web, large videos should also be web optimised and trimmed where possible (i.e. would a 30 second intro to a longer video be sufficient rather than placing the whole video on the page – maybe a link to see the full video after watching the intro if people are interested?) and long pages are a no-no anywhere. Images loading bit by bit (‘line by line’) shouldn’t be happening in todays age of speedy web connections – so if they are, they’re likely far to big. The usual cause of this is applying a size attribute to the code of an image rather than resizing the image itself. For example, specifying the size of an image in HTML still loads the full, huge size image, and then resizes it. To solve this issue, download the image, resize it in an image editor and the re-upload it. Another advantage of doing this is that you shouldn’t have to specify the size of the image in the HTML / script now. Scripts should add something to the page – not just be there for a ‘cool’ effect. Now there are some scripts which can create nifty menu bars etc, and used correctly these are fine. After all, websites need a good navigation system and if this has a few low impact effects on it then this is completely fine. However, cursor trails (Windows 98 anybody? 😉 ), exploding things, splash screens and the like are usually unnecessary and invariably annoying. Not every user will be interested in the content of your video – show a preview clip with the option to go through to the full video if the user wishes to do so. There’s no point in loading an hour interview with yourself (however interesting) if the user that is loading that page doesn’t want to watch it. Give the user the power and they shall love you. Long pages have never been cool. Long pages belong in books, leaflets, handouts etc. But not on the web – no they weren’t even cool in the 90s. Pages on the Internet are not the same as pages in a book. While paper costs money in the real world, more pages on the Internet don’t cost you. Divide and subdivide your content into relevant sections. Again this goes back to the “what’s the point in loading it if the user doesn’t want it” theory. For example, if you have a massive page that loads all the products you sell, why no subdivide that into categories? If you’re a bookstore and you list all the books you sell on one page and I come to your site looking for non-fiction books, then all the time I have to wait for the fiction books to load is time wasted. Remember, unless you grab a users attention, they’re not likely to scroll to see anything ‘under the fold’. Remember, page speed is an important, and often overlooked, part of page design. You could spend your entire life optimising your website and not get it 100% (which is impossible!) but there are a few quick things you can do, detailed above, which will give you massive speed increases, sometimes up to 80-90% depending on your website. Remember, there’s no point in having the worlds best website if no one waits for it to load! Are Plugins Destroying Your Blog? Today, I thought we’d cover a topic which I have had a fair amount of experience in recently. The advent of plugins was no doubt an absolutely fantastic thing for all kinds of web software, blogs included. 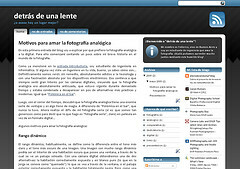 Many companies that offer web software, such as blogs (for example WordPress) have set up galleries where people can offer the plugins that they develop for free or for a certain, usually small fee. They allow people with no or minimal technical background to enhance their web software / blog with a few easy to follow steps (many now include an autoinstaller). They allow people with technical knowledge but without the necessary pre-requisite time to upgrade and enhance the features of their web software / blog. However, as with many things in the world of computing, when there is an upside, there is also a downside. While a certain amount of carefully selected plugins that provide much needed or desired features can massively boost your blog, the overabundance of useless plugins can not only frustrate the user but also distract and detract from the real content of your site. What you may think is cool, may be totally ‘uncool’ for your visitors. The main thing that we have to remember when adding plugins is they each individually add a bit more weight to a site – that is, they have an impact on performance. The technical among us will no doubt know this already due to the simple computing equation that more code = more load. (I’m a poet and I didn’t know it! – Don’t worry I won’t give up the day job! ;)). Due to the easy auto installer process of many plugins (due to software now including plugin managers, auto installers / updaters etc) it can be very easy to forget just how much code we are actually adding to our website. On modern computers, slow loading pages should be a thing of the past. Unless there is a genuine reason for them being slow to load – i.e. they contain a large video file or something similar. But there’s probably no good reason for a webpage (even a webpage that uses fancy features, scripts, basic multimedia) to be loading slowly. In this day and age of broadband (in some cases fibre optic) and modern browsers as well as computers, most of the web should be running silky smooth, the vast majority of the time for most users. If your blog is running slowly, the first thing I would suggest you check is the plugins – specifically the number of them that you are using. Many plugins are plainly just not useful or required. Even once useful plugins fall into disrepair, outlive their usefulness and get superseded by another great plugin – but rarely are these old plugins deactivated, let alone removed. If your blog is running slowly, I would imagine that you are using 10+ plugins. If you are using 10+ plugins, now might be the time for that spring clean that you never had at the beginning of the year. Is it current and up to date? Does it add desirable features and functionality to the blog? Does it enhance the content of my blog? Ask yourself the questions above for each plugin on your list. If you answer ‘no’ to any of the above questions, deactivate and remove that plugin – it is not required. Don’t reminisce about the good times you had together or how fantastic it used to be – just deactivate, delete and forget. Rinse and repeat as required. One caveat that I should probably add as an addition as well is – if something is there because it ‘looks good’ or because it improves the ‘look and feel’ of the website then chances are it doesn’t. Deactivate and delete. Unless you’re a graphic designer or design consultant it’s probably not going to be giving you or your blog any benefit. Remember how ‘cool’ marquees and blinking text used to be? (allegedly). I rest my case. Did I land in the right place? Hopefully, I’m heading to your blog for your content. We’ll assume this as fact for now. Click, click, type, click and I’m at your blog. Your baking blog. There’s 150 plugins. At this point, I’m wondering whether I’m going to find out how to make my sponge rise perfectly or which one of these hundreds of plugins actually deserves a place on the website. Unless you’re a plugin gallery or a closely related website then clean out the plugins. Use enough to enhance the blog suitably but don’t overpower your content and your readers with unnecessary, non functional plugins. If you’ve got a baking blog and there’s more plugins that recipes or more plugins that pictures of nicely formed cheesecake then there are serious issues that need resolving now. Can you smell a rotting carcass somewhere? OK, most dog owners will have had their furry pooch hide a bit of meat behind a cushion or under their bed from time to time. The web equivalent of this is allowing a rotting, decaying plugin to continue to have pride of place on your blog. After a plugin has outlived its natural usefulness and / or is no longer being supported or updated by the developer, remove it. If it was a useful plugin that adds a lot to your blog, chances are some other developer has made a new plugin to replace that functionality (as it will be in high demand, if it truly is useful – 99% of the time at least anyway). Don’t leave mouldy plugins on your blog. Not only are the unsightly (and reportedly smell bad), they are also a nice back door into your otherwise secure blog for anyone looking for a laugh at your expense. Plugins are nice and useful and can add a lot to your blog / website. But the correct usage of them is essential both for the sanity of your users and for the security and maintenance of your website. If you’re feeling a slow down on your blog, chances are your visitors are too. Not only does it take more time for you to maintain, it takes longer for them to get access to what they want (and if it’s really bad, they could stop visiting all together). If this is the case, do you, your website and your visitors a favour and give your website a plugin MOT test to check that its fit for purpose. I understand that some of you have had a couple of issues with logging into your accounts on the blog (caused by a disappearing login link!). The login links/form have been restored on the side menu as well as the floating bar at the top so hopefully there should be no more issues regarding login. If you are still having problems, feel free to contact me us the ‘Contact Us’ page and we’ll have a look into it for you.